Sye Raa Narasimha Reddy is an upcoming film which is going to release in early 2018, It is action film which starring many top class actors such as Chiranjeevi, Nayanthara, Amitabh Bachchan, Jagapati Babu, Sudeep and Vijay Sethupathi. It is Directed by Surender Reddy and Produced by Surekha Konidela and Ram Charan. It is made under the banner of Konidela Production Company. The movie story is based on biopic of Rayalaseema freedom fighter Uyyalawada Narasimha Reddy. He is considered to be one of the first freedom fighters in India. 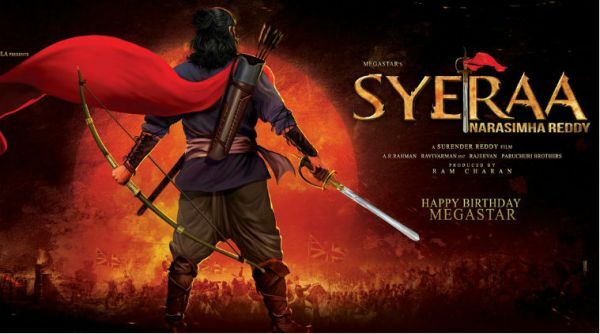 Sye Raa Narasimha Reddy Release Date: Official release date of the movie is yet to release, but the maker has released the start date of the movie. According to the latest update, the pre-production work of the movie will go on till this month-end and the regular shoot will commence from 5th October 2017. 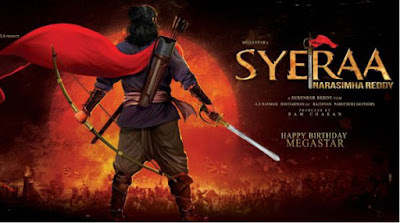 Sye Raa Narasimha Reddy Movie Budget: The movie has many superstar from Tollywood, Bollywood and Kollywood. As per report, the movie total budget is around Rs 150 crore. Release Date: The movie is expected to release in the summer of 2018. It will be released in Telugu, Tamil, Hindi, and Malayalam languages simultaneously. Star Cast: The movie features Chiranjeevi in a new avatar. The movie has supporting roles of Vijay Sethupathi and Kannada actor Kichcha Sudeep. Amitabh Bachchan is also joined the star cast of this movie. According to the latest report Pragya Jaiswal offered a female role for this flick.